A technical layer with styling the young skier will love, Spyder's Powergrade Dry W.E.B.™ T-Neck offers smooth, seamless performance on the slopes. This half-zip shirt's polyester is enhanced with moisture-funneling Dry W.E.B.™ technology to keep him dry. 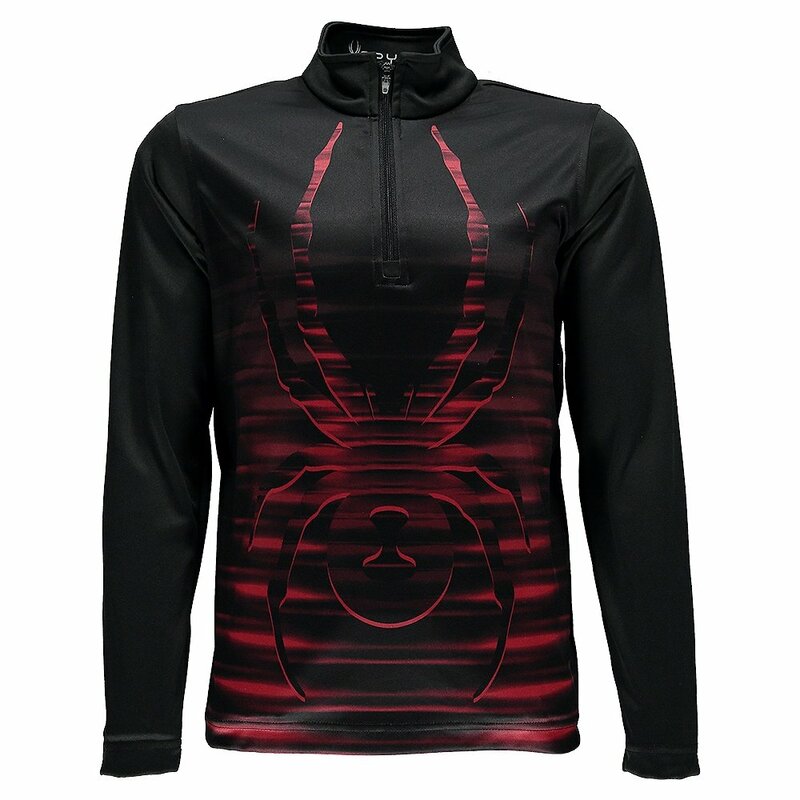 The large, colorful Spyder graphic gives the shirt a presence that other technical ski layers can't compete with. "Do you carry this shirt in adult sizes? (Spyder shirt) "
"The Spyder Powergrade Turtleneck for Boys is made from Dry Web. In Men's sizes we have the Spyder Webstrong and Spyder Silver Dip in the same fabric and style. Hope this information helps!"